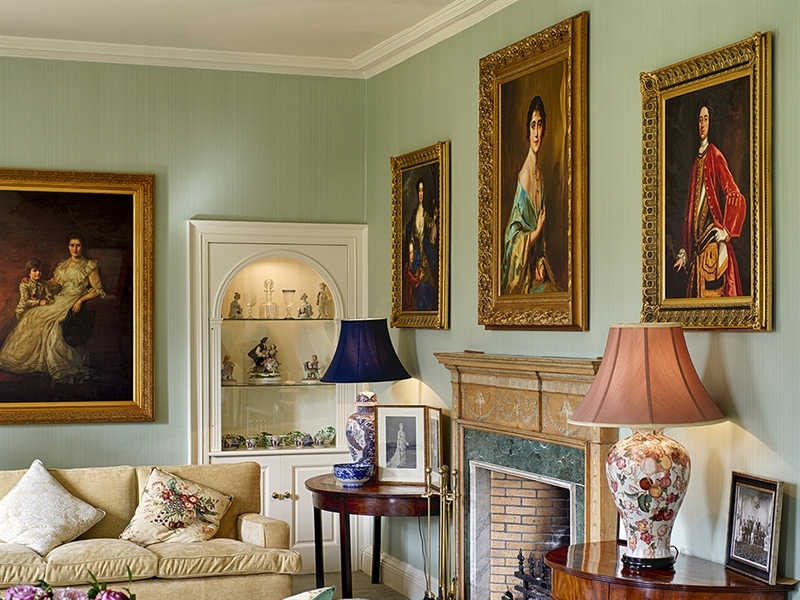 Glamis House is a luxurious house on the famous Glamis Castle Estate, former home of the late Queen Mother. 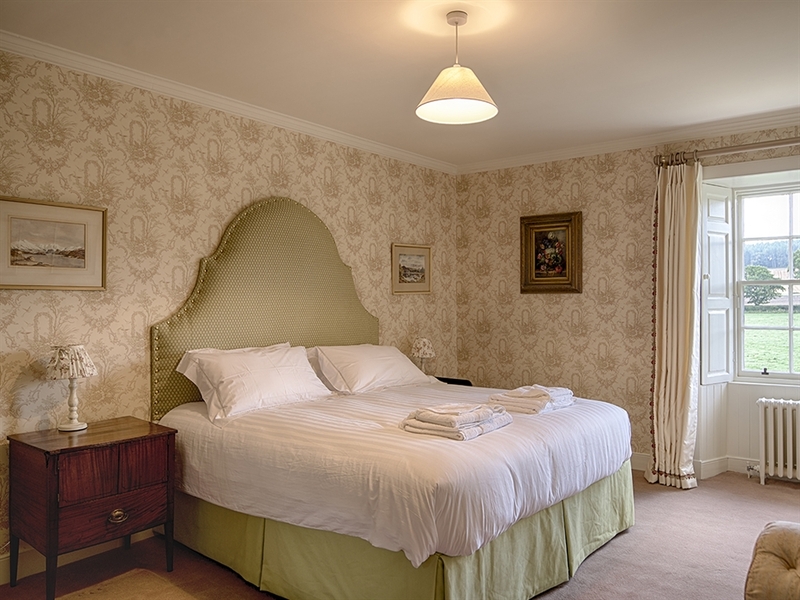 Part of the famous and historical Glamis Castle Estates, this beautiful house has enormous style and charm and a welcoming luxury to make your stay very special. 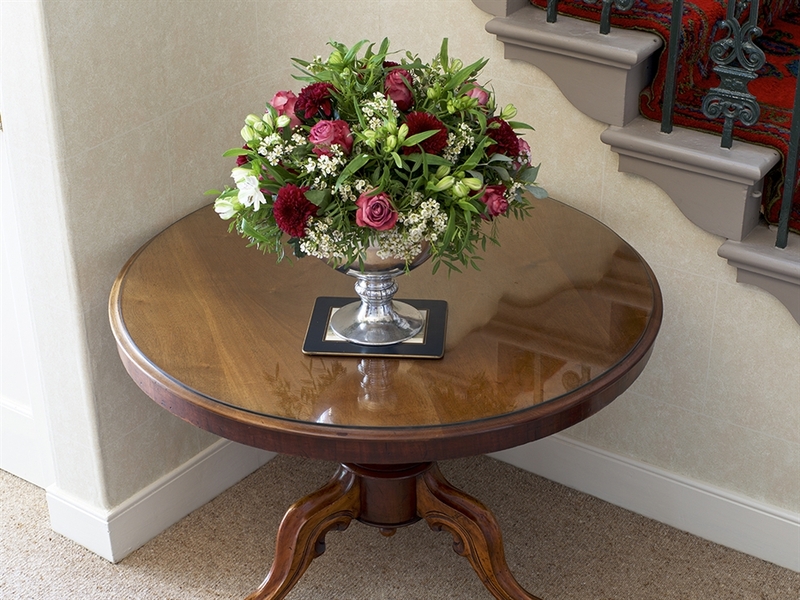 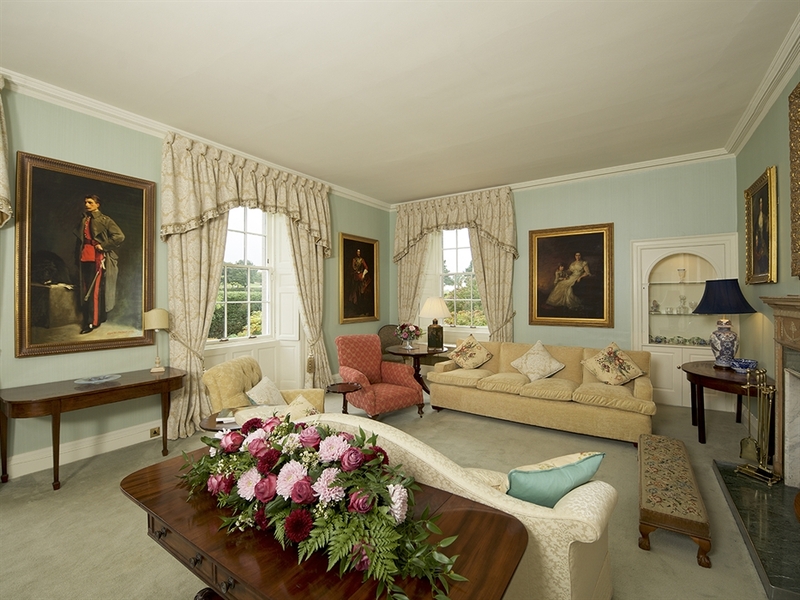 Newly renovated and furnished to the highest standard with fine antiques and furnishings, Glamis House also exhibits an array of royal connections. 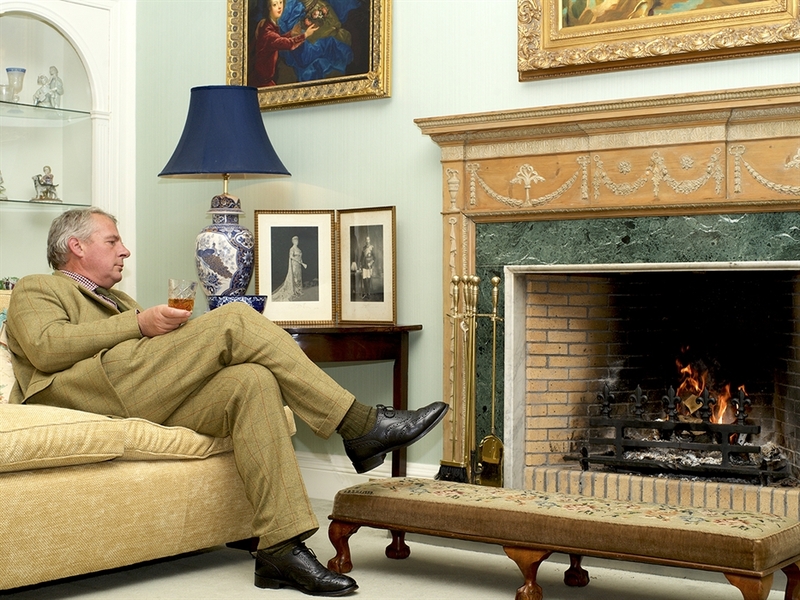 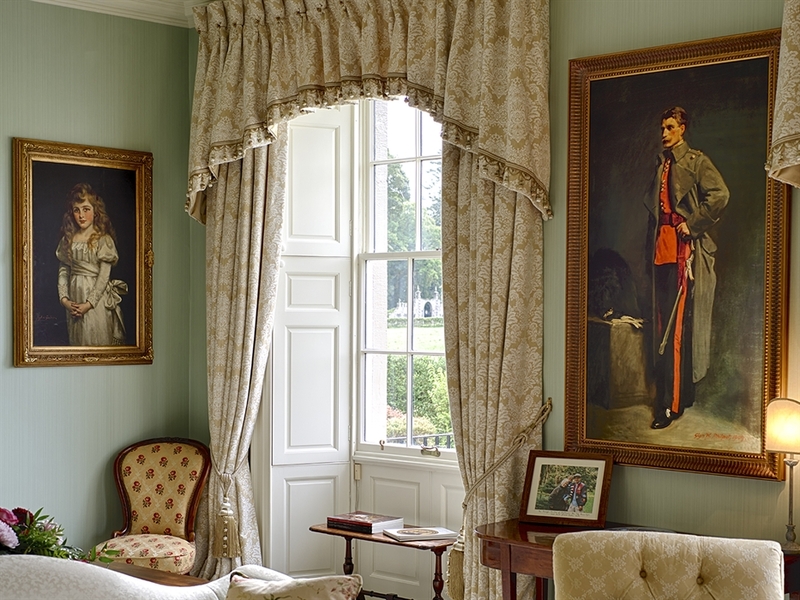 Portraits and photographs trace the history of this wonderful estate and the family who have lived here for generations and the oil paintings of the late Queen Mother are a particular delight. 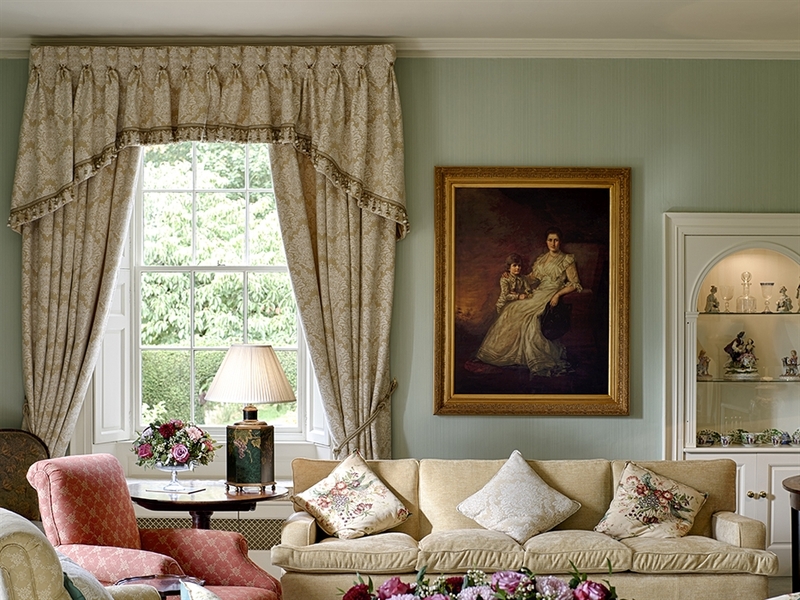 The lounge is an especially lovely room with light flooding in and views across the garden. 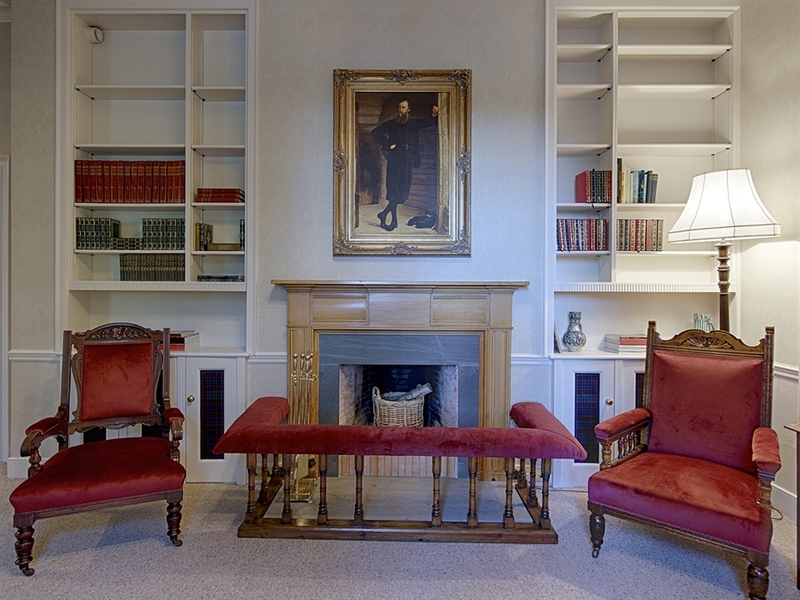 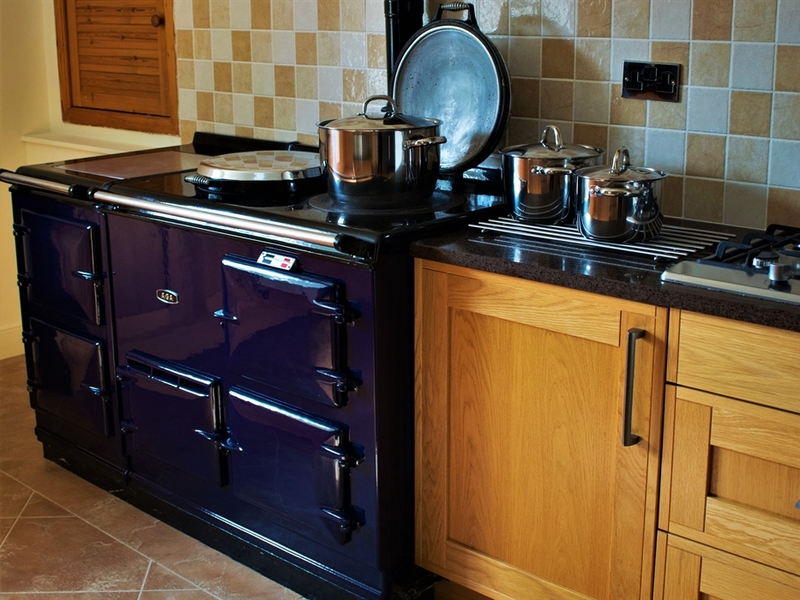 Open fires throughout provide warmth and welcome. 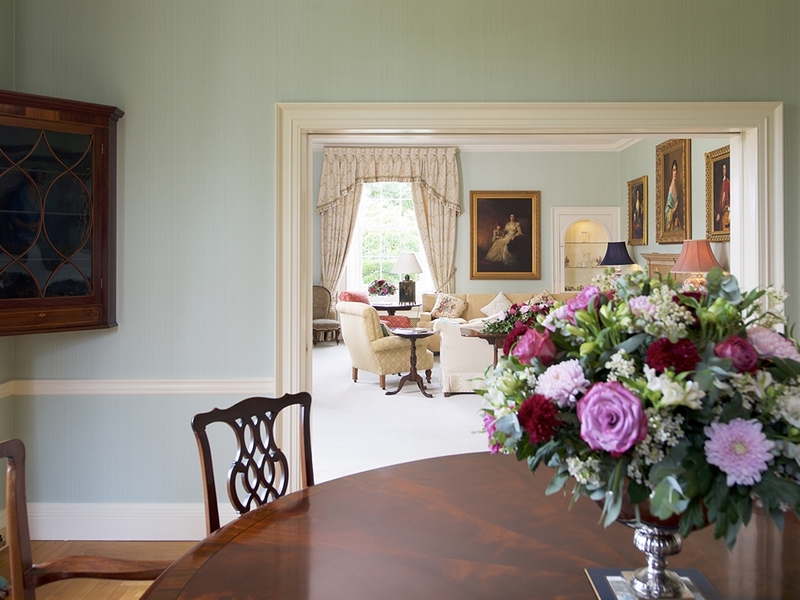 Double doors bring you to the stylish surrounds of the formal dining room. 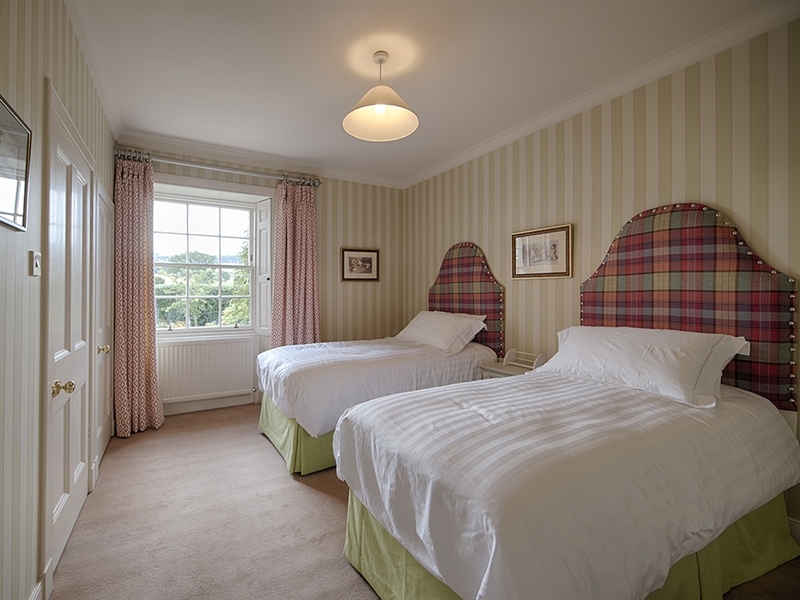 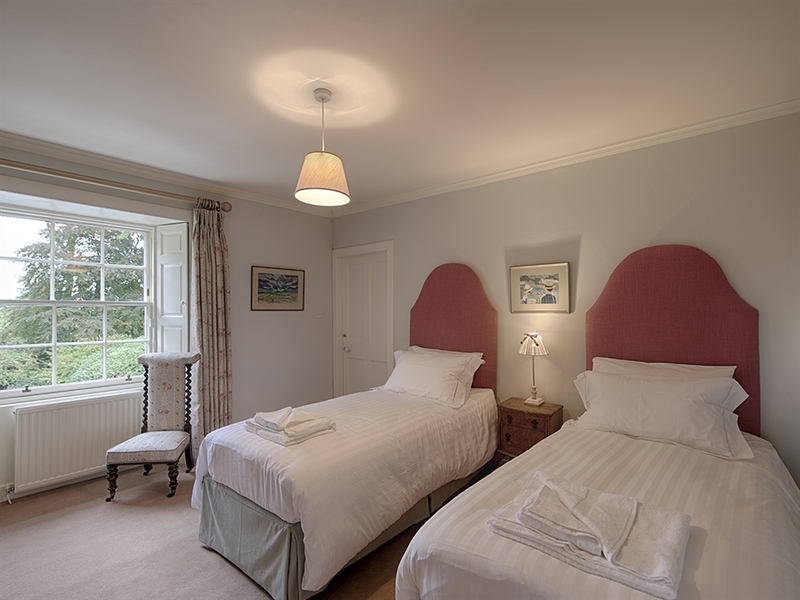 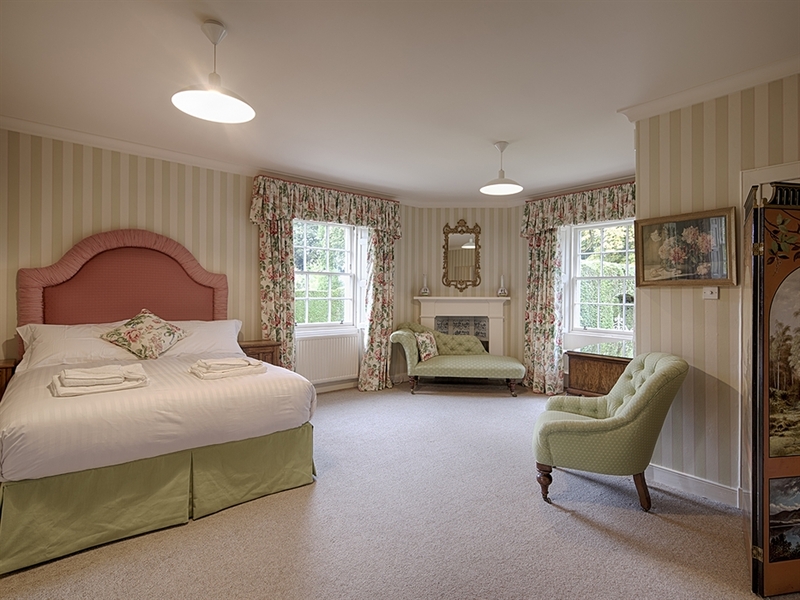 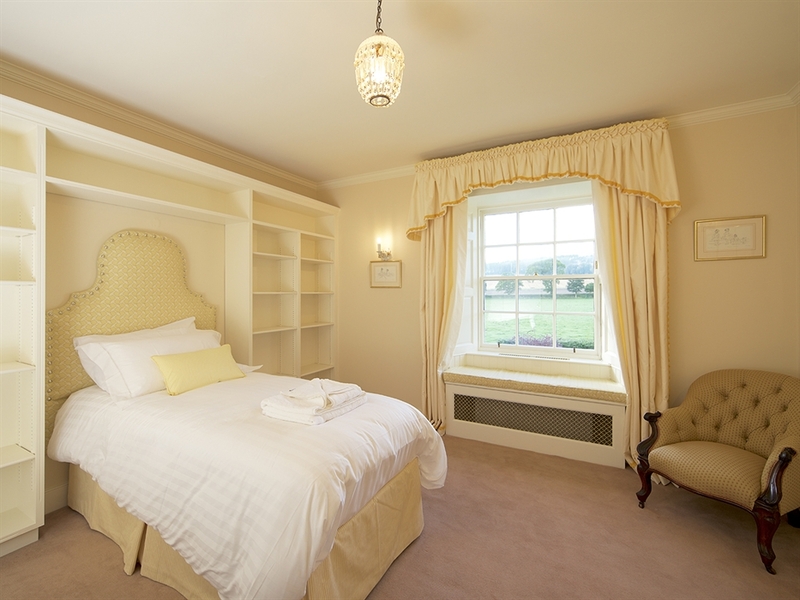 The bedrooms are wonderfully comfortable and inviting and will provide a marvellous sleep cocooned in silence and first class beds and linens. 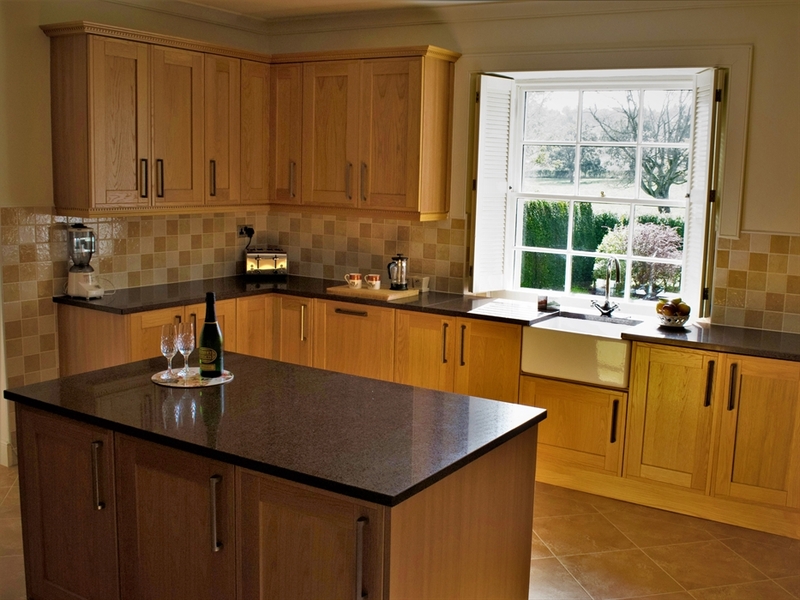 The kitchen is large and very well equipped and the central island makes this a ‘cook’s’ kitchen with plenty of working space. 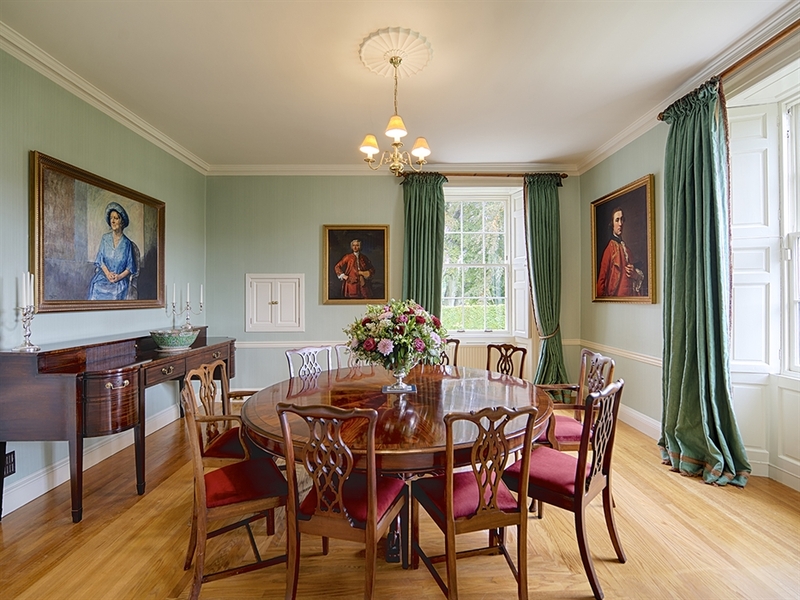 A breakfast room is perfect for mornings and children’s meals. 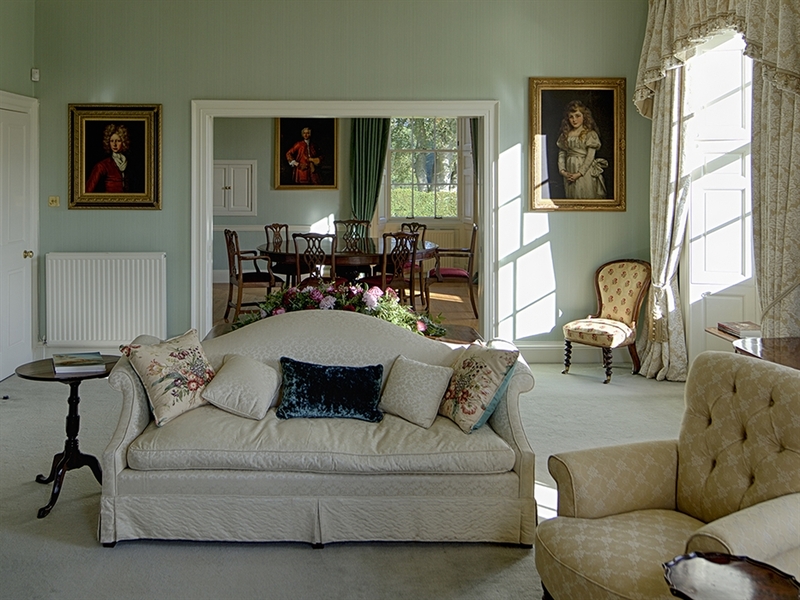 Catering can be offered by the estate for some or all of your stay and if available, it may be possible for you to arrange a meal in the splendours of Glamis Castle itself. 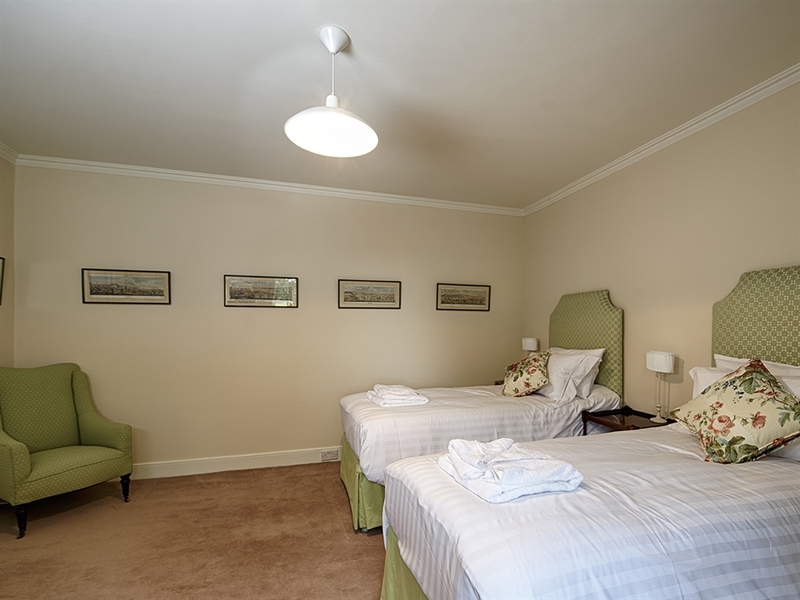 The indoor therapy pool is a real bonus – warm and relaxing after a day out, be sure to request this when you book. 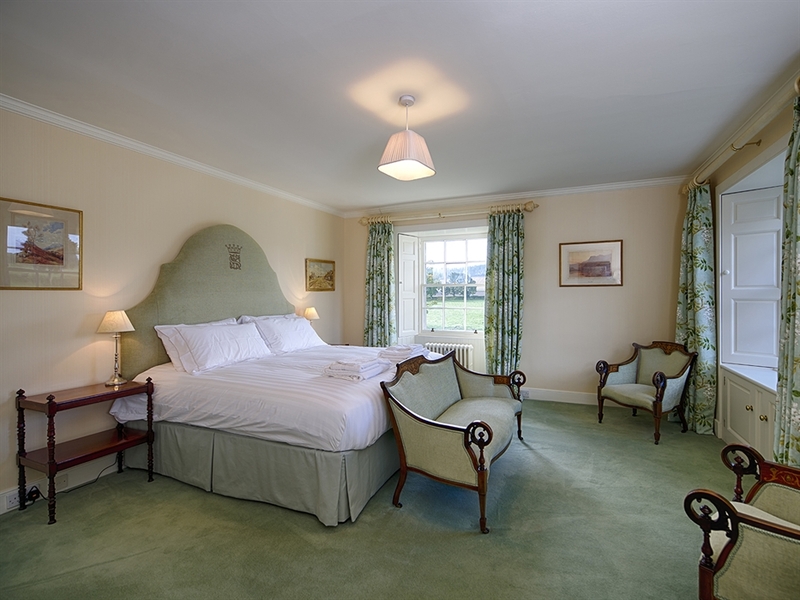 Outside, the private grounds are accessed through electric gates and there is ample parking. 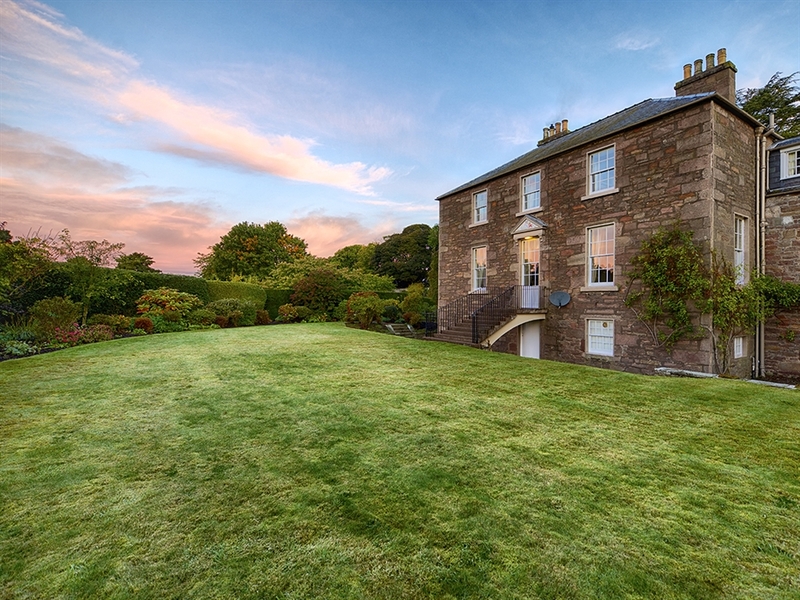 A walled garden provides a lovely area to enjoy – perfect for a wedding too. 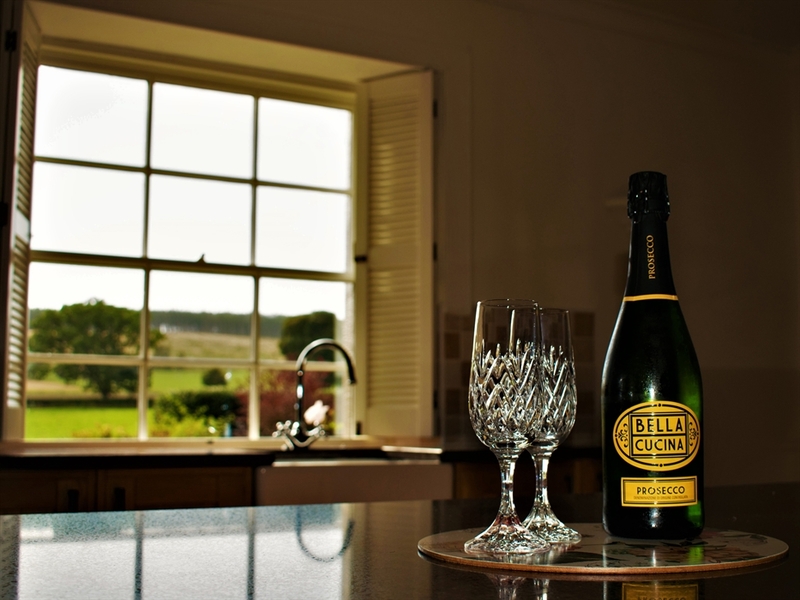 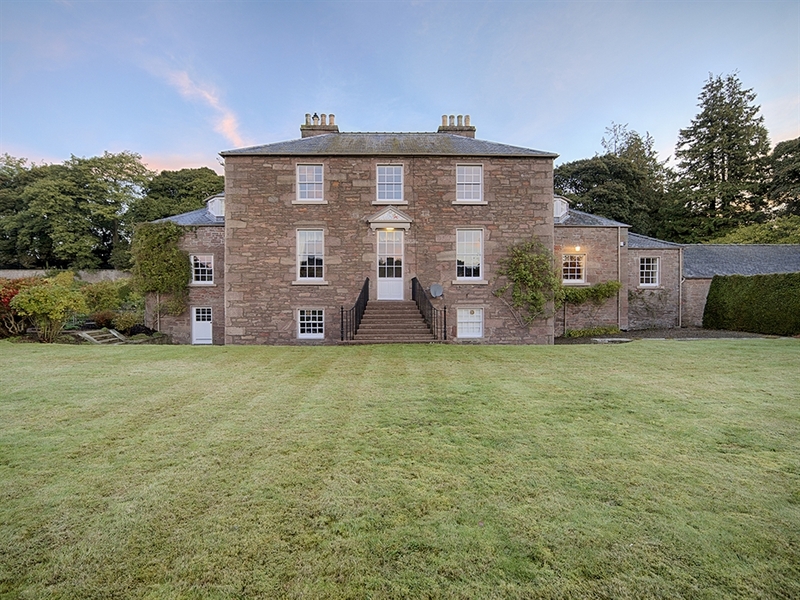 This area of Angus is beautiful with fine beaches, great walks through the Angus Glens and of course, fine golf courses such as Carnoustie very nearby. 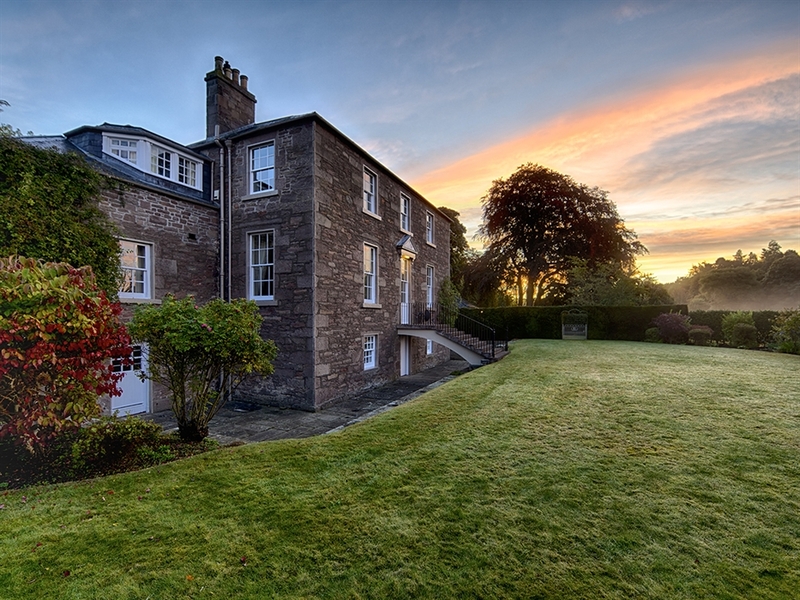 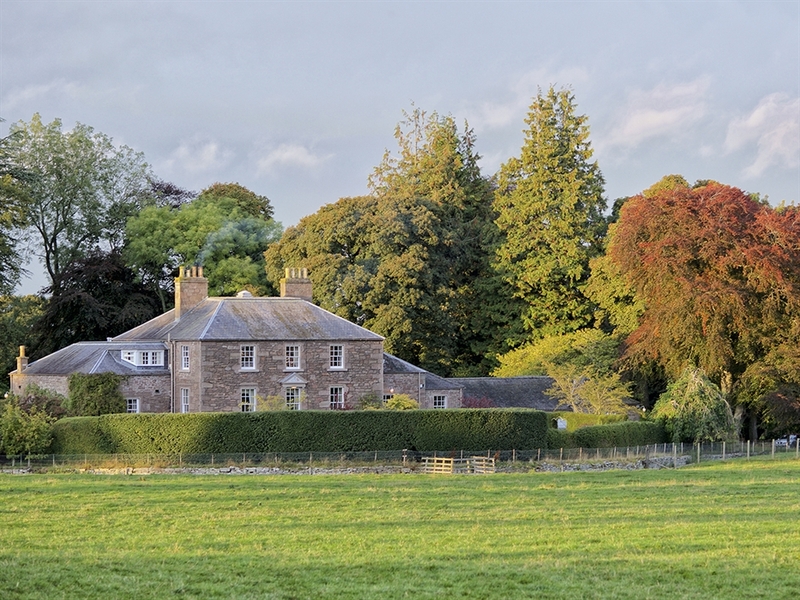 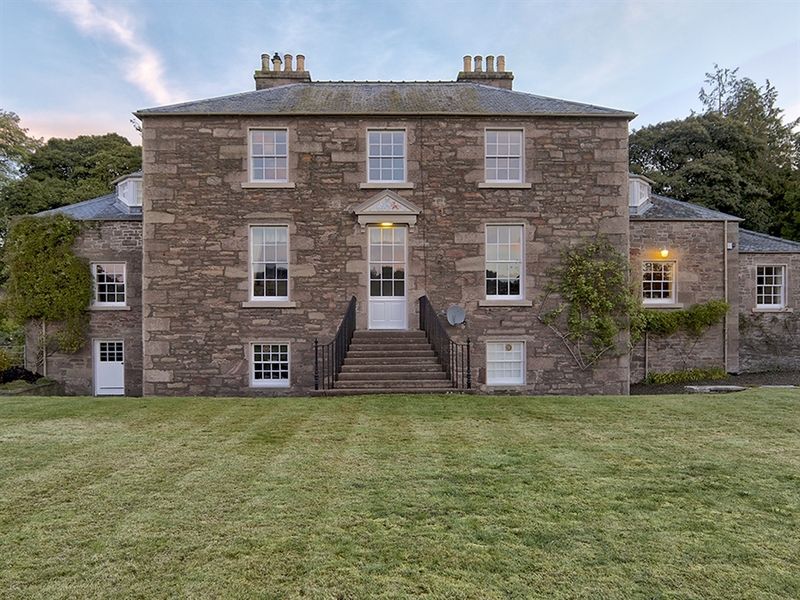 This is an exceptionally lovely house – gracious and very, very comfortable and one for those who appreciate the best in life and the history of Scotland.